Using an electric mixer, beat together the bananas and the peanut butter. In a separate bowl, mix together the flour, baking powder, baking, soda, cinnamon, and salt. Mix the dry ingredients into the wet until a batter forms. Scoop out 1 cup of the batter and mix in the Nutella until the batter is uniformly brown. Set aside. Scoop 1/4 cup of batter into greased muffin tins. 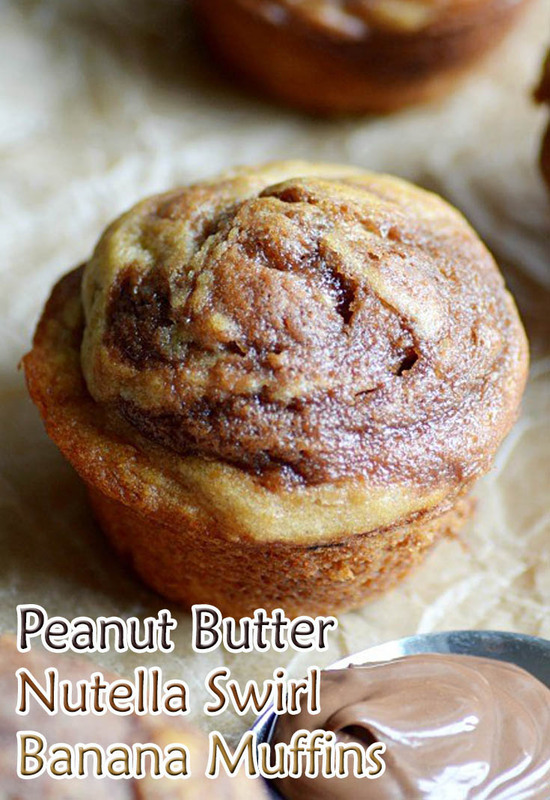 Scoop 1 tablespoon of the Nutella batter on top of each cup and swirl with a knife. Bake for 20 minutes, until muffins pass the toothpick test. Let cool and and drizzle with Nutella if desired.